Mono-controlled systems for straight, curved, symmetrical or assymmetrical, hand or electrically operated installations. Choose between traditonal vertical blinds or the newest product: the "Vertical Waves"
Vertical blind systems combine design and technology, a shading system that is stylish and still allows you to control the level of light entering the room. They are well suited for floor-to-ceiling windows or as a room divider. 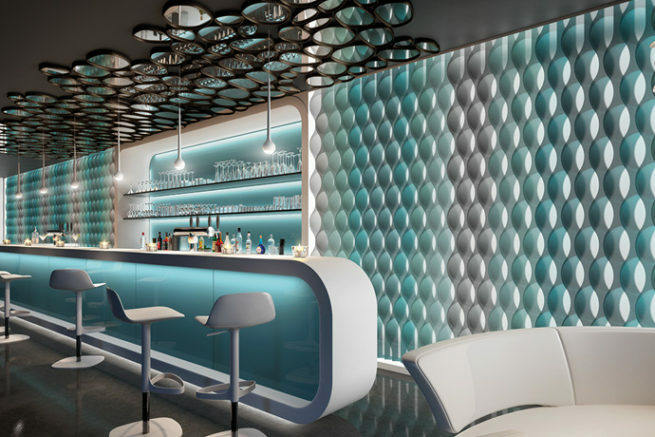 In addition to straight louvres, we offer Vertical Wave – 3 laser cut shaped louvres to add a contemporary twist. 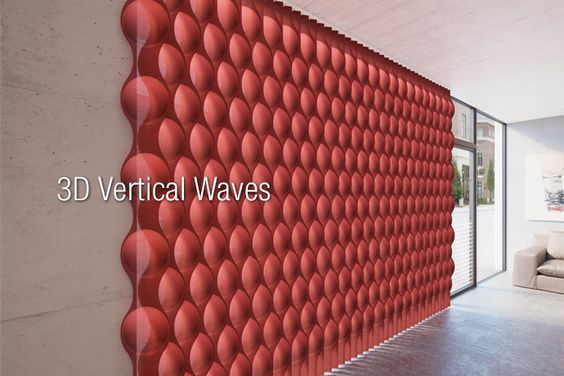 We now offer the unique, breath-taking 3D Vertical Wave. By combining new printing methods with colour palettes we deliver eye-catching and stunning effects on the blind. Electric operation offers a touch of luxury and ease of use with control by a switch, remote handset or by the Silent Gliss Move app. A mono-control chain operation is simple to use with just one chain controlling both the tilting and opening and closing of the system. With crank operation a detachable handle opens, closes and tilts the louvres to let in just the right light, and a unique belt operation can be bent to a tight radius. Crank operation is inherently child safe by design and therefore ideal for homes, hotels and public spaces.